Quigley's Pond was a popular hangout and ice skating spot for Woodstream kids. Just past the Evesham border off Greentree Road in Cherry Hill it became the centerpiece of the Lake View development when it was built in the late 1970's. Before that it backed to an apple orchard. 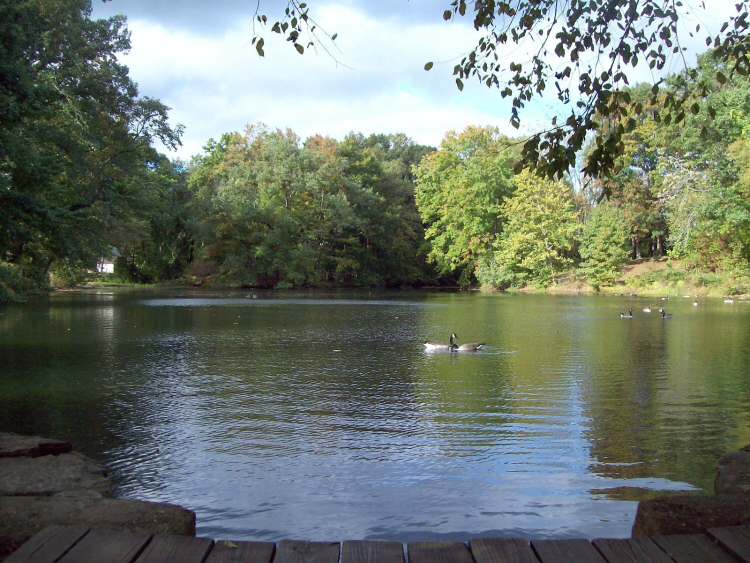 It is officially named Joe's Lake, possibly after Joseph Barton, who owned the farm where nearby Point of Woods was built. 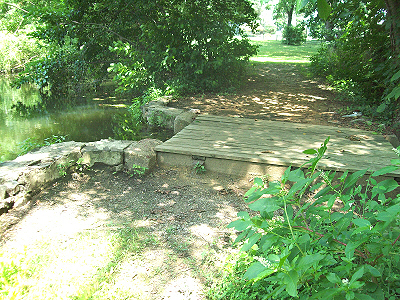 Photo of the spillway at the old Quigley's Pond. 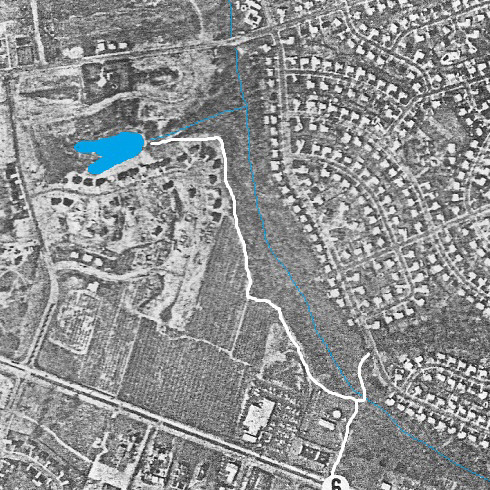 1970 aerial view with Quigley's Pond colored in. Greentree Road runs along the top. A path ran between the woods and orchard that connected to the path that ran between Brandwyine Drive and Route 70. The homes at the bottom left of the picture were sample homes for Point of Woods. 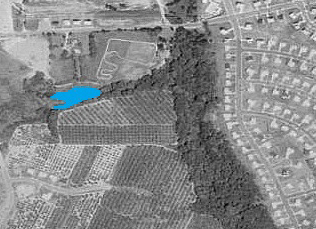 1977 aerail view of Quigley's Pond showing the first section of Lake View being built. White line shows path that was the back way into the pond from the lower sections of Woodstream which came out by Brandwyine Bridge.